This stunning piece of property on the east side of Seneca Lake was designed by Noah Demarest over a period of several years beginning in 2008. 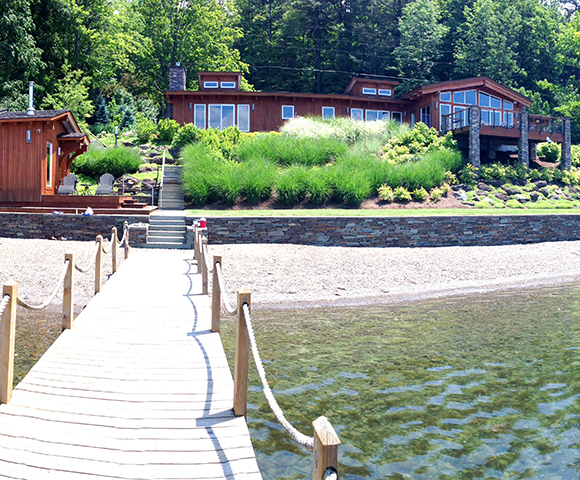 The project began with a 200 ft long dry laid seawall, deck and landscape design. A new beach house and extensive renovations on the existing house were designed by Peter Steer AIA, beautifully executed by Bruno Schickel and his team. Work on the site design continued, adding several stone retaining walls, pathways, steps, and a waterfall fountain constructed by Kevin Reilly. Final lighting and planting design was completed with Kim Michaels from TWMLA. A comprehensive planting plan was installed over several seasons as construction ended. 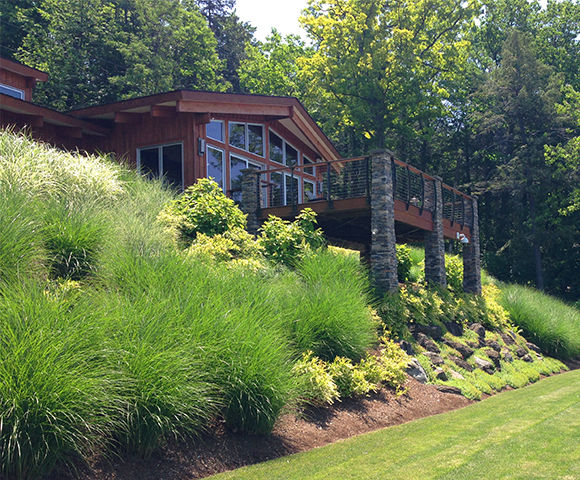 Plantings feature ornamental grasses, expansive carpets of sedums, Asian-influenced evergreen rock gardens, woodland plantings of ferns and hostas, and much more.